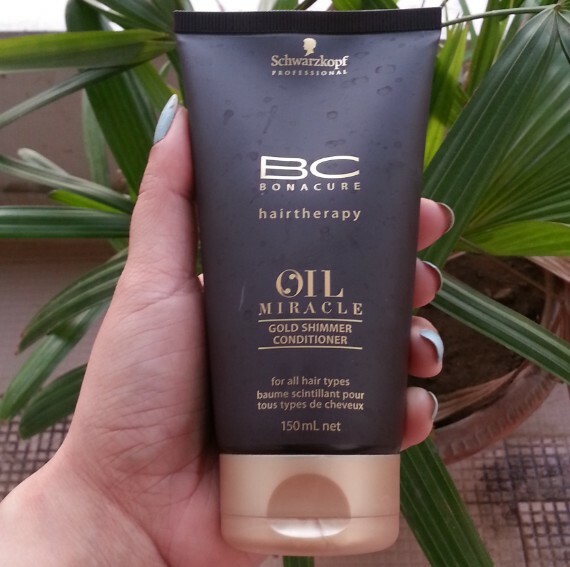 Hey everyone, couple of days back I reviewed Schwarzkopf BC Oil Miracle Shampoo and today I will be sharing my views about Schwarzkopf BC Bonacure Oil Miracle Gold Shimmer Conditioner. 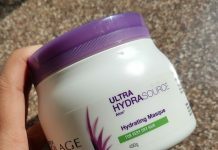 I have been using this conditioner for last one months and now I am good to go with its review. 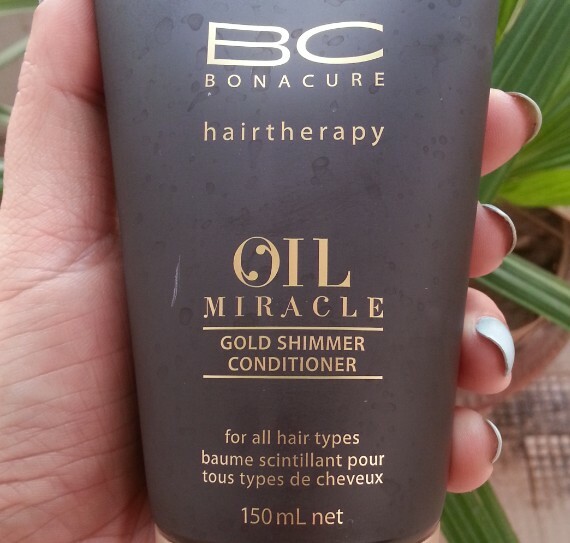 BC Oil Miracle Glod Shimmer Conditioner has the same packaging as is that of the shampoo. 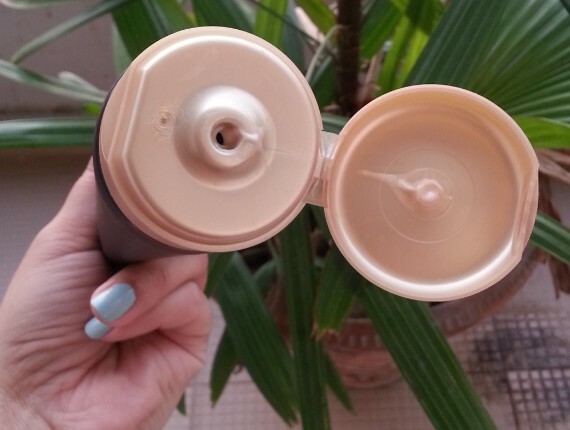 It comes in an opaque brown plastic tube with golden flip cap. 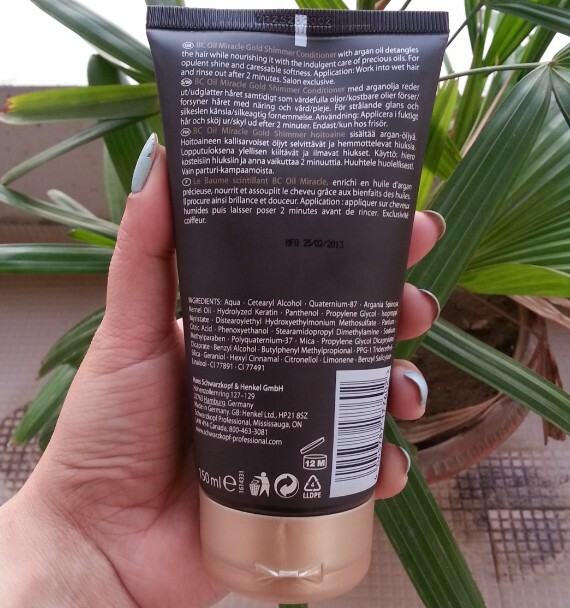 The conditioner comes in a beige color and contains fine golden shimmer particles. It has a runny consistency and if you are not careful while pouring it out, you will end up with wasting a lot of product. It has amazing argan oil fragrance which is not over powering and stays on hair for 3-4 hours not more than that. 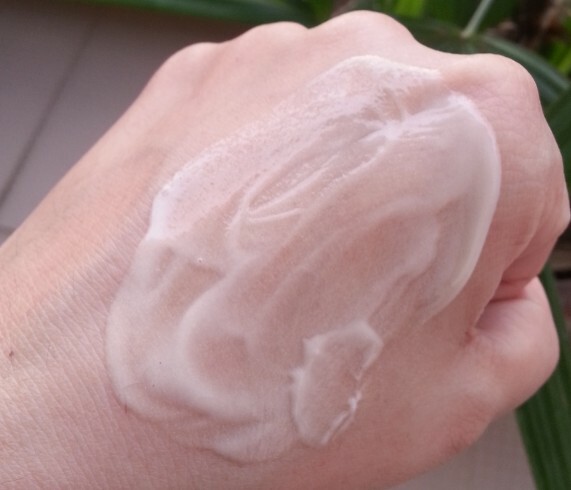 After shampooing my hair, I take small quantity of this conditioner on my palm and massage it gently on the hair lengths towards the hair ends. Then I combed my hair with fingers and leave it for 3-4 minutes and then rinse it off with cold water. 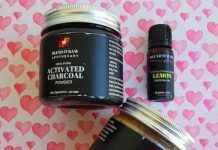 It comes out easily without leaving any build-up on the hair. It helps strengthen & detangle my dry hair, controls frizz and tames those dry ends. My hair feel soft & smooth to touch and shiny. It nourishes my hair and helps to boost the moisture level in the hair. The main ingredient of this conditioner is Argan Oil, and there is no need to tell how beneficial is argan oil for hair. It never ever weigh down my hair. 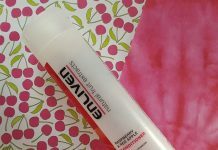 I used it with other shampoos to see its effectiveness, it showed good results but it gives best results when used with the shampoo from the same range. 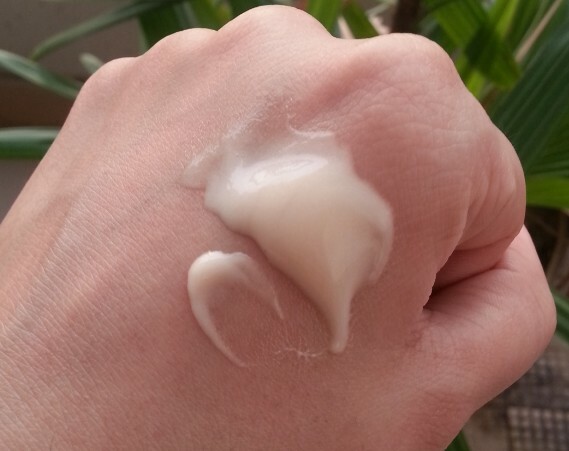 A little amount is required during each use and this 150ml tube will easily last with me for 10-15 usages. 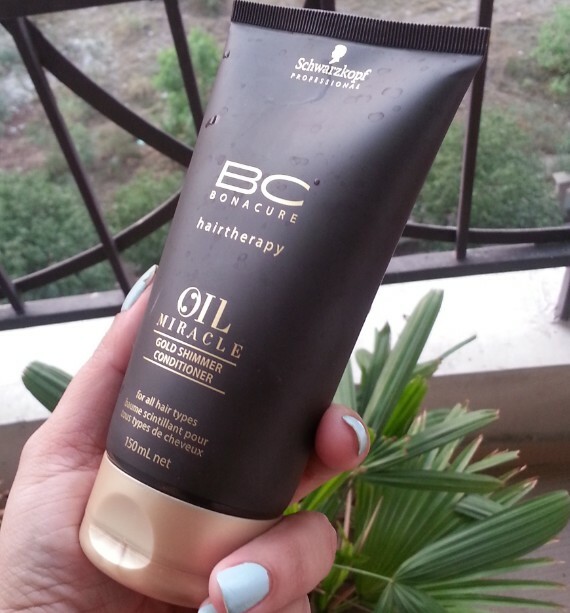 You can easily buy this conditioner online from Jabong.com, Flipkart.com, Amazon.in, Purplle.com. Opaque packaging doesn’t allow to see how much product is left inside. i am definitely gonna check it out. Lovely piccys! I have had my eyes on this for a while. I can give it a try sometimes….. Nice review.